As the workforce becomes more and more saturated with millennial’s, the gap between us and the older generation becomes more and more evident. ‘Millennial’, generally seen as anyone born between the late 1970’s and mid 1990’s, has become a hip label with a few stereotypes attached to it. 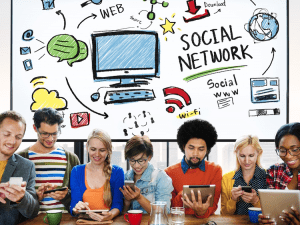 One of the defining elements of our millennial generation is the advent of the internet and the interconnectedness that has resulted as a part of it. Millennial’s grew up with access to huge amounts of information at our fingertips. With the growth of social media, its allowed us to learn quickly, to be opinionated and to speak our minds. In a survey completed jointly by Levo and Microsoft Office, the results showed that 93% of millennial’s believe that productivity is important to achieve happiness, however only 62% of respondents said they feel moderately to very productive. 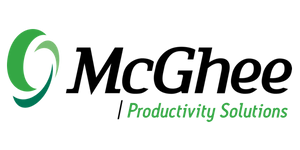 At McGhee Productivity Solutions, we believe that productivity plays a big factor in happiness. The Levo/Microsoft Office study shows that we as millennial’s want to be productive, but that many of us don’t feel like we truly are being productive. So, what’s getting in the way? Stereo-typically, millennial’s are entitled, lazy, not willing to work hard, inexperienced, not willing to go above and beyond and are addicted to technology. We’ve felt the effects of these stereotypes in the corporate world. When you think about it, it’s easy to see how those stereotypes could have formed. We’re a generation of instant gratification. We see all the possibilities out there and aren’t willing to take “no” for an answer. We’re curious, we believe we’re capable of more and we’re restless staying in one place. The internet is much to either thank, or blame for these tendencies. In Corporate America, these stereotypes have led to a high degree of frustration among millennial’s, whether they fit the stereotypes or not. Many managers fail to see millennial’s as individuals, instead treating them according to their stereotypes, not delegating enough or offering millennial’s a way up the corporate ladder. According to a survey done by Deloitte, only 28% of millennial’s feel like they are making “full use” of the skills they have to offer. While managing millennial’s may require a different work-style, its undeniable that they have a wide skill set that can be very useful to the corporate world. With the popularity of technology and interconnectedness among us, millennial’s have been exposed to such vast amounts of information that many possess new ideas and creativity that will highly benefit the corporate world. By having these stereotypes applied, many millennial’s have found the need to combat them. Many have become work martyrs. They feel like they have to go above and beyond, they always say yes, they work long hours, they take fewer vacation days, they feel like they can never disengage for fear of missing something important. They feel replaceable and, in many instances in this job market, they are replaceable. This causes quick burnout, one of the number one reasons millennial’s change jobs so frequently. For some of you reading this, it may feel like an exaggeration. Is the gap really that big between millennial’s and their older counterparts? Our answer is that it depends on the managers. Some managers see this gap and help to widen it. They play into the stereotypes and let it drive their actions towards millennial’s. Other managers see millennial’s as individuals and then, this gap doesn’t exist. When millennial’s are treated as individuals, they feel empowered, heard and understood. We want to help change these stereotypes to increase productivity. Our research shows that teams that don’t work in alignment are less productive. If millennial’s and the older generations could learn to work in alignment, there would be a lower turnover rate and higher employee retention; and what about the millennial’s that were hired for having the potential to be high performers? They would experience less burnout and, overall, their employers would experience a greater return on investment. There are some important mindset, or paradigm shifts that need to occur so that everyone in the workforce can work in harmony. Saying yes to everything will help me climb the ladder. Strategically saying no will allow me to focus on the most important things, increasingly my quality of work and ensuring goals will always be met. This will allow me to climb the ladder. There are only 24 hours in the day. No matter how productively you work, you can’t gain extra time. No matter how much time you waste, you can’t lose time. There are only so many things that you can physically do in a day and when you say yes to everything, you’re guaranteeing that things will slip through the cracks, the quality of your work will suffer and you’ll be working early, late and on weekends to get “everything” done. If you learn to strategically say no, to really evaluate what you can and can’t do, you’ll ensure that the most important things get done and your managers will respect you for that. We see it being a much better strategy to moving up than burning yourself out! If I take time off, somebody else will get the big projects. In the previously mentioned study done by GfK to explore the concept of “work martyrdom,” a staggering 43% of the work martyrs they found were millennial’s. If I take time off, I’ll be more focused, in-control, relaxed and engaged which will lead to higher performance. It’s easy to feel a little bit narcissistic when you’re juggling so much at work. It’s easy to feel like if you take time off, nobody could possibly do your job for you, or, even scarier, maybe they could and your boss will see that you’re replaceable. The easiest way to get replaced is to not be doing your job effectively. If you’re stressed, un-focused, and out of control, things are going to get missed, you’re not going to be giving it 100% and your work will suffer. If you take time off to get yourself into work-life balance, you’ll start to thrive and your skills and motivation will speak for themselves. You were hired because your employer saw potential in you. If you’re confident in your abilities, it will show. Do yourself a favor and take your vacation days, that’s why they’re there! To our millennial readers: we hope that you can incorporate these paradigm shifts into your work life. You don’t want to be a stereotypical burnout, do you? Be seen as an individual and let your productivity work for you, not against you. To our readers of older generations, we see you! How can you ensure that your team is working cohesively and effectively? You can start by seeing each and every person on your team as an individual. Not a millennial, not a baby boomer, but an individual with individual skills and talents. In the previously mentioned study done by Deloitte, the number one factor millennial’s consider when deciding if an organization is a leader in their field and if they want to work at a firm, is the treatment of their employees. I can’t delegate to Millennial Zach because he is too young and too inexperienced. If I want to get the job done right, I’ll do it myself. I empower and coach Millennial Zach to grow and show his creativity, become a high performing asset and realize his potential. Millennial’s are young and inexperienced, but how will they ever grow and gain experience if no one ever trusts them to get the job done? Millennial Zach entered corporate America right out of college. He was young and he was inexperienced. His managers held the old paradigm and never gave him the opportunity to grow and thrive. They didn’t effectively delegate to him and, in turn, they became more stressed and resentful because they had too much on their plates, while Zach became disenchanted, feeling like a cog in the wheel, not the creative individual he was. Zach moved to McGhee Productivity Solutions a year and a half later. He found a place where he was empowered, trusted and held accountable for his objectives. It’s a place where Millennial Zach feels himself growing and thriving, while building a career path that he is excited and empowered by. If you take the time to coach and groom your direct reports, if they’re the right person for the job, they will grow and thrive and you can delegate to them without fear. Then you can start taking some of those vacation days and living work-life balance! The key is plenty of 1:1’s, performance reviews and fierce conversations that may feel awkward at first, but truly empower an individual. If you see Millennial Zach as an individual with skills and talents instead of one of a thousand, if you have those fierce conversations, he will show you what a high performer he can be.